The A – Z Of Bluehost Vs Hostgator. You have decided to start a website and now you need web hosting but you can’t decide between Bluehost or GoDaddy. Let us help you get the best web host for your website. Making a choice between Bluehost and GoDaddy can be quite the dilemma. In this case, you have two veteran web hosts that have been in the industry for a long, long time. And because they’ve been around for quite a while, they both know what webmasters need. Over the years, they’ve morphed into one-stop platforms for just about every hosting requirement that you might have. Be it shared, VPS, dedicated, WordPress, reseller, or even cloud hosting, they will give it to you. So, how do you go about deciding whether to go with Bluehost or GoDaddy? Well, pricing and features are two of the most important factors to compare for a start. On the surface, HostGator is cheaper than Bluehost since the two companies are neck-to-neck when it comes to features. But when it comes down to making your final decision, there’s a lot more to consider other than pricing and features. Here below is a tl;dr summary version of our Bluehost and GoDaddy head-to-head comparison. There are some major differences between the two companies that you should be aware of. Before we explicitly compare non-price, non-feature related items, let’s take a look. Both Bluehost and GoDaddy bundle the cPanel Control Panel with their shared hosting packages (though more premium offerings may choose to implement an alternative option). You can think of cPanel as “command central” for your website and its hosting. As you can see, the control panel is pretty important. The way that different hosting providers implement a control panel, even if they underlying option is a specific product, differ. For example, Provider A might provide its users with a stock cPanel option, while another provider might modify its cPanel offering differently. This is the case with Bluehost and GoDaddy. While both companies provide cPanels that are equivalent in terms of functionality, the usability isn’t necessarily the same. GoDaddy provides its users with the stock cPanel brand control panel. This is by no means a downside — cPanel is well-known for its solid design and ease of use. Bluehost, however, provides its users with a custom control panel that the company built on top of the default cPanel option. The goal of this is to provide its users with a simplified panel that works well with the offerings and options included with Bluehost hosting packages. With that said, which (Bluehost’s or GoDaddy’s) is better? It depends. A complete novice user to the world of web hosting might find Bluehost’s streamlined control panel more intuitive, but a user coming from another host offering cPanels might find GoDaddy’s offering less jarring. While both Bluehost and GoDaddy broadcast that their plans offering unlimited bandwidth, the term unlimited may not mean what you think it does. For most users, the limitations of “unlimited” resources won’t be a factor simply because they won’t have the traffic levels or serve enough content for web hosts to take note. However, some users might easily bump into issues if their websites are large, they see a high level of traffic or both. In such instances, the web host will get in touch with you to discuss your options. The most likely result is that you’ll be asked to move to a more premium type of hosting that is a better fit for the type of website you’re serving. As a small business owner, is this something with which you should be concerned? Possibly. However, if you’re just getting started, the answer is likely to be no. Both Bluehost and GoDaddy offer WordPress-specific hosting options, but which option is better? Bluehost is one of the few hosting providers expressly recommended by Automattic, the company behind WordPress. GoDaddy, on the other hand, offers “managed” WordPress hosting where the company handles all things related to installation, daily backups, and software updates on your behalf. Video above: GoDaddy offers numerous WordPress resources, like this video on how to create a WordPress website. GoDaddy’s platform makes it easy to create your own WordPress site, even with no experience. Though GoDaddy does not offer a 1-click WordPress installer, the company does offer pre-built sites and a drag and drop page editor. Furthermore, all plans include a domain name, email, and 24/7 support. As a small business owner, which should you chose? You can’t go wrong with either option, but if you want to be more hands-off, go with GoDaddy. If you want to do the work yourself, but you don’t want a highly complex process to deal with, go with Bluehost. GoDaddy, Bluehost, and HostGator (a peer to both companies) all offer solid shared hosting packages at great prices. How do you choose the best option for you? For many small businesses, the cost is a concern. All offer shared hosting at similar price points, but depending on the coupons and specials available when you sign up, the final price you pay may vary. Shop around for the best deal. Video above: Get an overview of Bluehost’s shared hosting. All three companies offer packages that include everything you need to get up and running, and all boast top-notch customer service. Datacenters are the physical locations where the files for your website are stored and serve. The physical distance between datacenters and your viewers’ matters — the further apart they are, the longer it takes for your website to load. Users are impatient — the faster your site loads, the better (especially if you are dealing with online sales where bounced users directly correlate with lost sales). Bluehost, unfortunately, does not disclose the locations of its data servers. However, because the company is based in Utah and has a large presence there, we assume that some of its servers are there. It should be noted that both of these hosts do not rely solely on their datacenters to deliver your site. They both offer CDNs — or content delivery networks. What is a CDN? Why is it Important to Use One? CDNs are global networks of dozens of datacenters. These datacenters store copies of the most recent version of your website. When a visitor clicks on a URL to visit your site, the CDN will automatically detect their location and serve up the site from the datacenter closest to them. Using a CDN is an important part of optimizing your site loading speed. Reliability and uptime guarantees. What happens if the host goes down? Like many hosting companies, Bluehost offers users a 99.9% uptime guarantee. However, if they fail to perform as guaranteed, their site doesn’t advise what credits you may receive and any applicable terms. You can cancel your account because they fail to fulfill this agreement or for any other reason and you won’t be penalized. You’ll also be refunded for the pro-rata part of the plan. GoDaddy also offers the 99.9% uptime guarantee. They stipulate that they decide when the uptime was less than 99.9% and whether the problem was theirs, yours or something beyond control. The maximum credits you can get is 5% of your fee for the month and it isn’t a refund; it’s a credit that can only be used to purchase other products from GoDaddy’s collection. What security measures and backup protocols are in place? Is your site scanned regularly for malware? Bluehost decides if, and when, they run backups and won’t take any responsibility for data that’s lost or corrupted. You must do your own backups for complete protection. Bluehost utilizes SiteLock for many of its security features such as daily virus and malware scans and a large number of other security protocols relating to software and hardware. Servers never lose power due to their uninterrupted power supply, 24/7/365 network monitoring, and backup diesel generators. Dual quad-core processors mean your site will perform at peak efficiency. GoDaddy runs daily malware scans and backups. The backups are stored in the Cloud, the safest place for them. This superior service does incur a small monthly fee but it’s certainly worthwhile as a measure for ensuring the security and integrity of your site. GoDaddy is regarded as the largest provider of domain names and, as such, are a shining target for hackers. They block 2.5 million brute force attacks each hour. All of the GoDaddy hosting plans have the most powerful encryption available to protect all members. As with most hosting companies, they have an uninterrupted supply of power, superior cooling systems to keep the servers at the right temperature, various other technologies as well as human security in the form of 24/7/365 CCTV monitoring by technicians and admin staff so problems can be addressed the moment they occur. What happens if you want to upgrade to a better plan mid-contract? For example, move from a shared plan to a VPS plan? If you wish to upgrade your hosting plan, it’s simple as they don’t have lock-in contracts and the only cost is the pro-rata rate for the new plan you have chosen. GoDaddy makes upgrading your plan easy and affordable. You only pay the pro-rata fee to upgrade and no penalties for changing plans. If you’re technically skilled, you can handle the upgrade yourself. How long is the free trial and money back guarantee? Bluehost’s money-back guarantee is 30 days. This guarantee only applies to the money spent on the hosting plan itself, not to other products and services such as administration costs, domain names and any other add-ons you purchase. There are no fixed plan contracts so if you cancel, you’ll get a pro-rata plan refund. GoDaddy’s money-back guarantee is different to most companies. If the contract is for one year, it’s a 45-day guarantee. If it’s a one month contract, the guarantee is only for 48 hours. The actual refund is a portion because it won’t cover domain names and many other parts of your plan. Read the terms and conditions closely. What support options are available and what hours? What are the hours for phone support and live chat? Bluehost provides round the clock support for members via email, phone, live chat, a members’ forum, a large knowledge base, numerous tutorials and a big collection of relevant articles. 24/7/365 support services are available in the forms of email, phone, live chat and a comprehensive knowledgebase so you can find answers for yourself. In addition to everything else, GoDaddy has an expert services menu full of “how to” tutorials if you wish to learn how to do things for yourself. If you’re technically minded, these will be very handy. 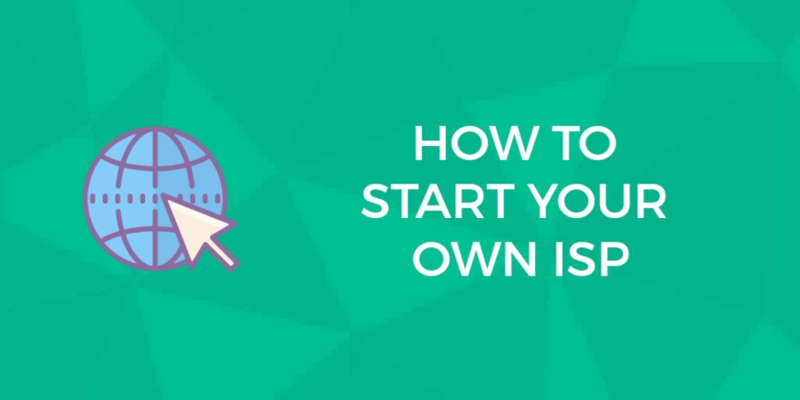 If you’re new, maybe it’s a good starting point. Any extra features? Does the company offer free advertising, a free domain name, free migration of sites from other hosts or a free website builder? If you have a site currently hosted elsewhere and you want to bring it across to Bluehost, be very aware that you’ll be required to pay $149.99 for that service. Most hosts offer this service for free to entice people to join them. You get a free domain name for the first year and they will transfer your domain name at no cost to you. You have access to a free drag and drop site builder. You’ll receive $150 of advertising credits that can be used for Yahoo/Bing and/or Google AdWords advertising campaigns to get you going. Unlike Bluehost, if you want to bring your site to GoDaddy and it’s hosted with a different provider, it won’t cost you anything to get your site transferred to GoDaddy. Your domain name will be free for the first 12-month contract. A free website builder is available for your use. $100 in Google AdWords credits are available for a new campaign. GoDaddy also contains coupon pages where you can grab extra savings, depending on when and what the offers are. Is Bluehost or GoDaddy better? Visit their official website for more features. Previous: HostGator vs Bluehost: Which Of These Major League Hosting Brands Is Best For Your Business? Next: Arvixe vs GoDaddy: Which Is Best?